CHICAGO — The UTRGV baseball team fell to Chicago State 7-6 in 10 innings on Sunday at Cougar Stadium. UTRGV (22-29, 7-14 WAC) led 6-5 entering the ninth, but CSU (12-38, 6-15 WAC) put two on with two out to set up a game-tying single by Tyler Lowe. Then, after senior Carter Johnson (1-6) struck out the first two batters in the 10th, CSU strung together three straight singles, including the walk-off hit by Jon Coss III. UTRGV sits in seventh place in the WAC, which qualifies six teams to its conference tournament, entering the final series of the regular season. CSU Bakersfield is sixth at 8-13. Chicago State’s Yunis Halim (1-0) earned the win Sunday, pitching three innings of relief and striking out three while allowing one run on two hits and one walk. Junior Anthony Gomez drove in two runs for UTRGV to finish the series with five RBIs and four runs scored. Junior Roger Varella III went a career-high tying 3 for 3 with two walks, an RBI and a run scored. Varela is now hitting .483 (14 for 29) in his last eight WAC games. Senior Austin Siener also had a multi-hit game, going 2 for 6 with a home run and two RBIs. CSU jumped out to a 2-0 lead in the first on a Lowe single and a Jacob Vanitvelt sacrifice fly. UTRGV got a run back in the second on a squeeze by senior Noah Lee. A Lowe sacrifice fly put CSU up 3-1 in the third before a two-run double by Gomez tied the game in the fourth. UTRGV took the lead in fifth on a Varela single. Siener drove in UTRGV’s next two runs with a single in the sixth and his fifth home run of the season in the eighth to make the score 6-3. Junior and McAllen Rowe alum Ryan Jackson entered the game in relief when CSU put runners at second and third with two outs in a 4-3 game in the fifth. Jackson struck out Matt Paciello to escape the threat. After Jackson retired seven of the next nine batters, CSU broke through with one out in the eighth, recording three straight hits, capped by a two-run single by Nick Heidenthal, to make the score 6-5. 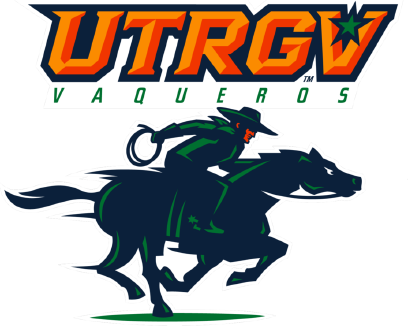 UTRGV closes the regular season with three games against New Mexico State starting at 7 p.m. Thursday at UTRGV Baseball Stadium. Friends and families can purchase four-packs that include four tickets, four hot dogs and four drinks for $25. Gates open at 6.